Hard to believe that in 4 weeks my grand kids will start school. For some, you will be heading back after Labor Day. It's always nice to get a head start on some great resources no matter when you are heading back. I've put together some great free resources, books for the beginning of school, BTS Activities, and Freebies. 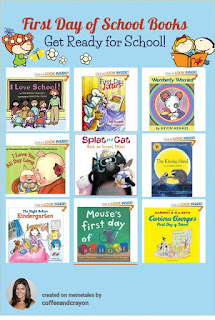 I can't imagine the beginning of school without Share Reading Books. Although many use David Shannon's, "David Goes to School" when talking about school behavior and rules there are many others. I found 2 great lists you can check out by clicking on the images below. If you are a new teacher you may want to check out these tips by Scholastic. Just click on the image below. I have also written one called "Creating a Classroom Vision" which may also be helpful to new teachers. 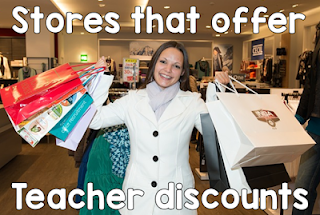 If you are looking for stores offering Teacher Discounts you can read all about them by clicking on the images below. For those of you who are in states that use the Common Core Standards, I have found some wonderful Parent Guides To Student Success that would be perfect to hand out on Back to School Night. They have both Math and ELA Guides for Grades K-8. Just click on the Image below. 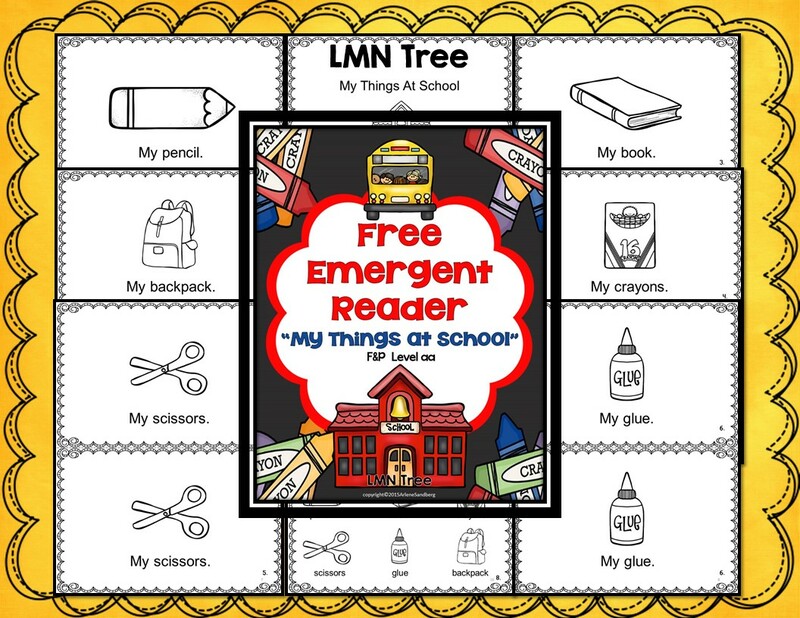 Scholastic has a wealth of free activities and printables for all your Back to School needs to help with Parent- Teacher Communication, Things you need to get started, Bulletin Board Ideas, Activities, and much more. Just click on the image below. If you are looking for some fun pair activities that your students will enjoy during the 1st weeks of school, you can download my freebie: "Welcome to School" Making Words and Sentences. Students make as many 2, 3, 4, 5 or more letter words from "Welcome to School" and "Welcome to the Classroom"and then write sentences with a few of their words. I have added a few new Back to School Packets to my TpT Store you may want to check out. Here is my 1st Bundle which includes my revised "The People and Places at School" Reading and Writing Activities and my "Back to School Literacy Activities." Save more than 20% on this bundle. Just click on the image below to download the preview files. 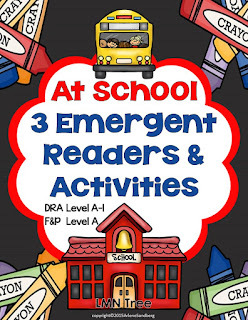 Here is my newest packet that I just uploaded today: 3 Emergent Readers and Activities. I have also revised my Preview files so you can see sample pages of 2 of the 3 Emergent Readers and Activities. Just click the image below. 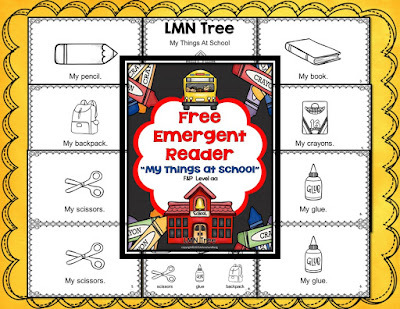 I have a free Emergent Reader for all of my viewers and followers about My Things at School. You can download your freebie by clicking on the image below. 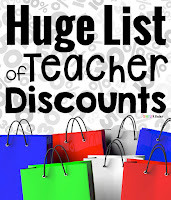 I hope you find some great ideas and resources for your Back to School needs. I know that there are many more resources out there but these will definitely give you a head start. Thanks for all you do to make a different for your students. Hope you have a great start to the new school year. Make sure you check out all my Pinterest Boards and follow. 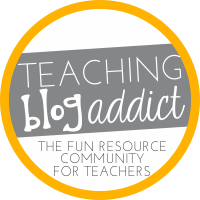 I have been adding lots of great pins with wonderful ideas and free resources for all your teaching needs. Your materials are always so cute. Hi, Arlene! What a wonderful collection of ideas! I followed the link to your "Creating a Classroom Vision" post - beautiful!